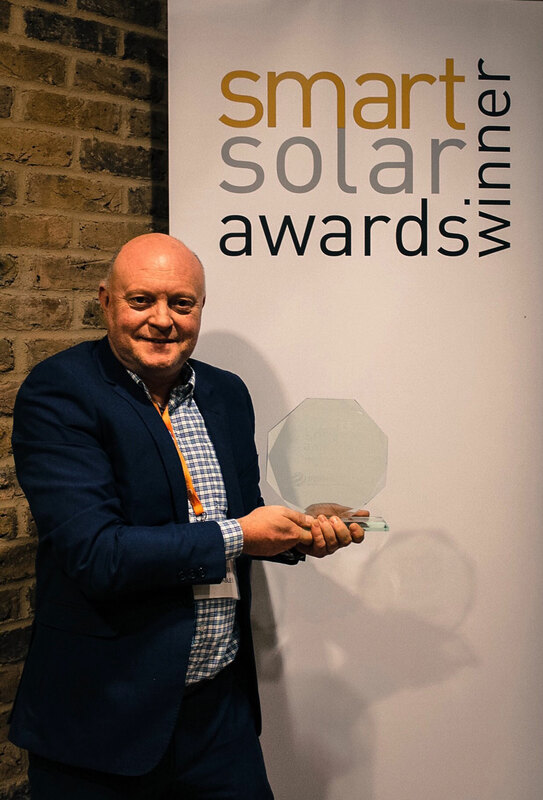 PS Renewables is proud to announce that Eveley Solar Farm in Hampshire has won the Smart Solar Award 2016 for best Large Ground Mount Installation. At 49 MWp, Eveley is PS Renewables’ largest project so far and was finished in March this year. The project was bought by Primrose Solar and PS Renewables provides O&M services for the solar installation. The award ceremony was held during the Smart Solar Conference at the BRE in Watford. Awards are decided by a vote on the Solar UK LinkedIn group, recognising success and development along the entire supply chain. PS Renewables would like to thank the people who voted for Eveley as well as the personnel, partners and others who were involved in its construction for their blood, sweat and tears that made Eveley a reality. Eveley Solar Park is one of the largest privately-owned solar farms in the UK and is saving around 21,500 tonnes of carbon dioxide per annum.